Active Aqua's new premium white trays offer unparalleled strength and performance. These heavy duty full ID flood trays are thick, rigid, durable and easy to clean. The tray edge has been arch formed, which reinforces the tray and minimizes flexing. They feature a square drainage pattern and smooth channels, which simplifies cleaning. 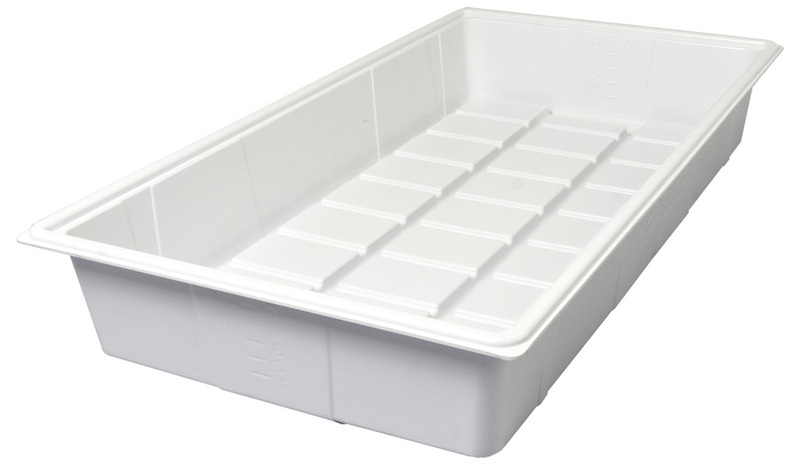 Active Aqua's premium white trays are manufactured in five sizes: 2x4, 3x3, 4x4, 3x6, 4x8. • U.V. resistant, virgin ABS plastic cap over a 100% recycled ABS plastic core. These trays are recyclable.